Cape Umoya United signed Toriq Losper who was released by Baroka last month. Losper also played for Ajax Cape Town in ABSA Premiership. You might notice that I have not updated any post in last few days, the reason is that I have new blog. 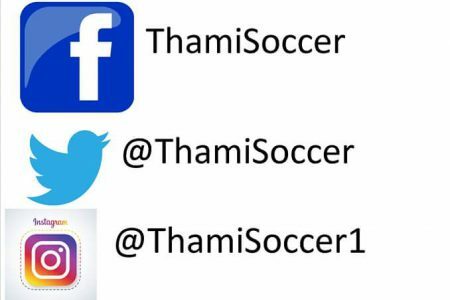 Please follow my new website blogs onto http://www.thamisoccer.co.za. Mbuyiselo Sambu has been appointed as the assistant coach at Chippa United. He will assist Clinton Larsen who also appointed as the new head coach recently. Jomo Cosmos signed Zaphaniah Mbokoma from Chippa United on 6 months loan deal. He will be wearing jersey number 46 at Ezenkosi. Stellies are on thirteen matches unbeaten streak and Natal Rich Boyz lost their last two matches. Urban Warriors are on four matches winning streak and Ezenkosi lost their last four matches on road. Ubuntu lost their last two matches and the Rockets are unbeaten in their last four matches. Magic Boyz are unbeaten in their last three matches and TTM won their last two games on the road. Stellenbosch ended Royal Eagles last week and the host are aiming to bounce back from defeat against Abantu Bemthetho. The rookies lost their last four games. Maccabi have inconsistent lately and Siyavutha lost their four matches. Cane Cutters are unpredictable and AmaTuks are struggling lately. Tingwenyama are hard to beat at home and the Spirited Ones are undefeated in their last four matches. Deolin Mekoa opened the scoring for Team Of Choice. Katlego Mokhuoane levelled matters for 2018Nedbank Cup Champions. Sinethemba Jantjie netted a winner for Ea Lla Koto. Leonardo Castro and Hendrick Ekstein netted for Glamour Boys.